I have been sharing my experiences as a dementia caregiver in India, but I am just one such caregiver. There are many more, most of them invisible, unheard, shrinking into anonymity while coping with their overwhelm. Caregiving is not recognized as a role in India. And sometimes, as Shikha Aleya has said, caregivers are invisible even to themselves. When I began blogging about my experiences two-and-a-half years ago, I was desperate and wanted to use writing as a tool for catharsis and also to examine my feelings. I hoped writing would help me crawl back up into a more wholesome life. I had nothing to lose; there were no friends helping me, anyway. There was no harm in spilling it out. No risk. In those early years, before my mother was diagnosed, and in the period just after, there were several small things that struck us as odd or surprisingly hurtful. I did not piece them together into ‘dementia behavior.’ I saw in them patterns that indicated out-of-touch with contemporary life, unfair use of ‘authority’, lack of love, inconsideration, and worse. I responded by withdrawing, hurt and bewildered (what had I done to deserve this), and an occasional protest. I did make some attempts to explain and understand; often these seemed to go well, but within a few hours, my mother was back at accusing me of all sorts of motives and complaining about me to anyone and everyone. Often when I meet caregivers now, I find them going through the same phase of hurt/ bewilderment/ frustration/ helplessness. Many are angry, others are sad, but helplessness about how to cope underlies most situations. I had one of my ‘favorite’ nightmares last night. It relates to reversal through time. It starts with my mother being the way she is now, unable to do or remember anything much, but reconciled to it and peaceful (at least most of the time). I am driving her somewhere (usually to a doctor) and on the way, she starts changing. Her eyes get a life of their own, her way of looking gets sharper, her voice gets back its energy and coherence. I need to park to do something (buy something? ), and when I return to the car, she’s in the driver’s seat. At this time, she had become young again (well, around 60+, but that seems young to me given the way she is now). She is impatient with me, she remembers things that must be done (and that I have not done) and I realize that she no longer has dementia. She is, in short, back to being as…well… as energetic about her desires and values and about my mistakes as she used to be. She accuses me of having tortured and imprisoned her for the last few years under the pretense of dementia, and drives the car in a sharp u-turn just to prove how wrong I am, how very evil and scheming, and how competent she is. Her face is a tight red with anger. I started blogging as a means of honest introspection, and so here’s (sigh), today’s truth: I got angry with my mother. The trigger was trivial, but I felt manipulated, and I took it personally though I need not have, and I got upset. I managed to breathe deeply in time, and no, I didn’t yell at her, but still…. Today, she wanted something done, and instead of just asking for it, she used a manner of speaking that was just too reminiscent of her old ways. She uttered a couple of sentences that triggered in me an entire set of defensive pre-conditioned responses. Though part of me remembered about her dementia, the other part insisted that this was not dementia speaking, it was the mother who I had resisted as a kid and even later. 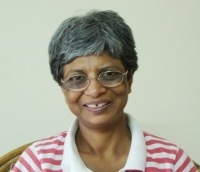 I'm Swapna Kishore, writer, blogger, and resource person for dementia/ caregiving in India. On this blog, I share my personal caregiving journey, experiences of helping other caregivers, musings on life, aging, dementia in India, etc. Also see: About me/ this blog and my dementia care work. Or contact me. Visit Dementia Care Notes for information, resources, tips, news, caregiver stories and expert interviews. The website is especially intended for dementia caregivers in India. Visit Dementia Hindi for the site's Hindi version. For concerned persons who wish to spread dementia awareness/ support caregivers, I have a section here with information, resources, downloads, and ideas for volunteers. Dementia Awareness in India: What level is it at? इस 40+ पृष्ठ के वेबसाइट पर डिमेंशिया (मनोभ्रंश) और सम्बंधित देखभाल के अनेक पहलूओं पर चर्चा है. देखें: Dementia Hindi. हम डिमेंशिया/ अल्ज़ाइमर से कैसे बच सकते हैं? If you like the blog, please consider sharing it on Facebook, LinkedIn, Twitter, etc. If you are not a subscriber yet, you can also subscribe to this blog using the box below. Oh, and here's more about me/ this blog and my dementia care work. Do feel free to contact me to share your thoughts. Enter your email address to receive e-mail notifications of new posts.